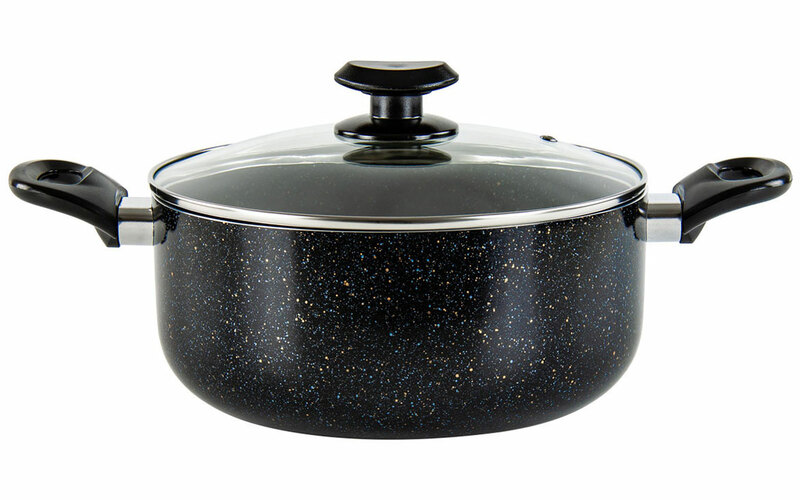 Perfect for one-pot dishes such as stews, curries or casseroles you’ll be spoilt for choice at meal times. 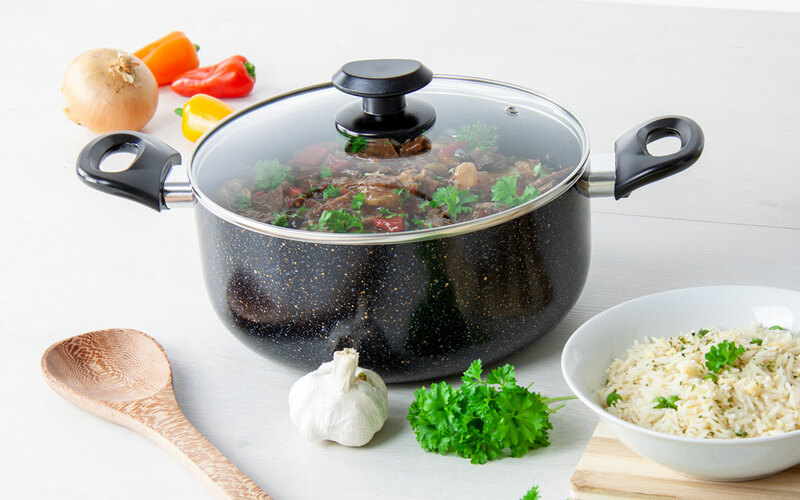 No matter whether you want to whip up a quick mid-week dinner or a feast for the family, the Una Pylus stockpot from SQ professional delivers flawless results every time. 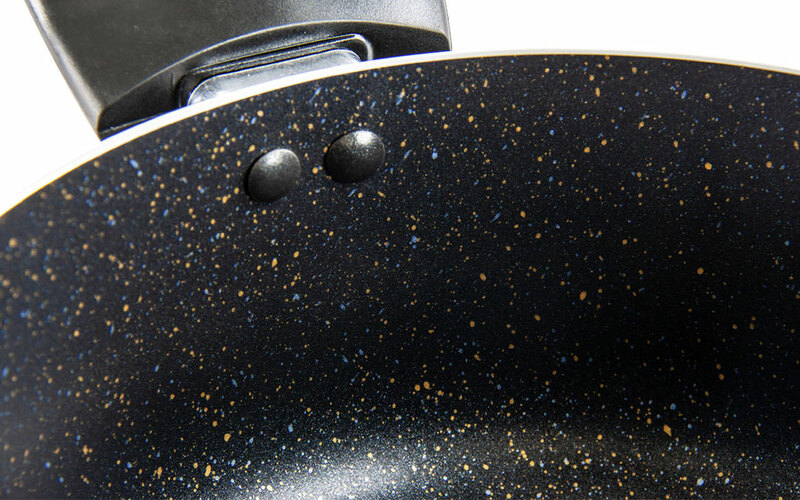 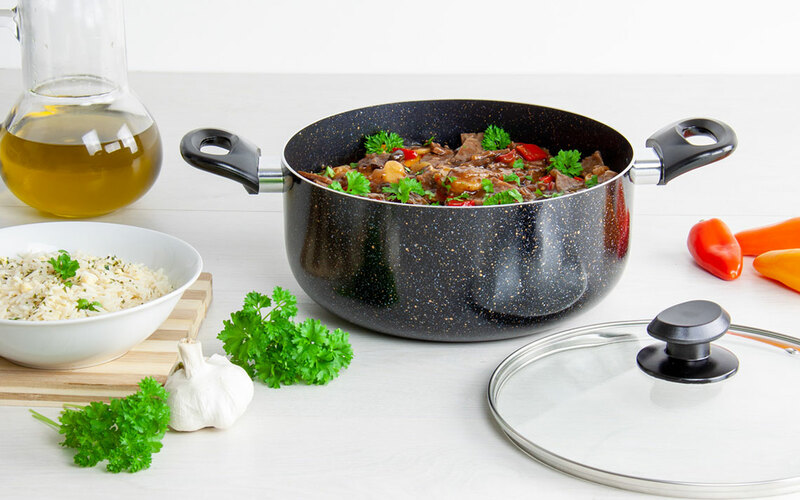 Crafted from strong aluminium and featuring a stylish non-stick marble finish, you’ll be amazed by Una Pylus’ exceptional heat conduction and distribution. 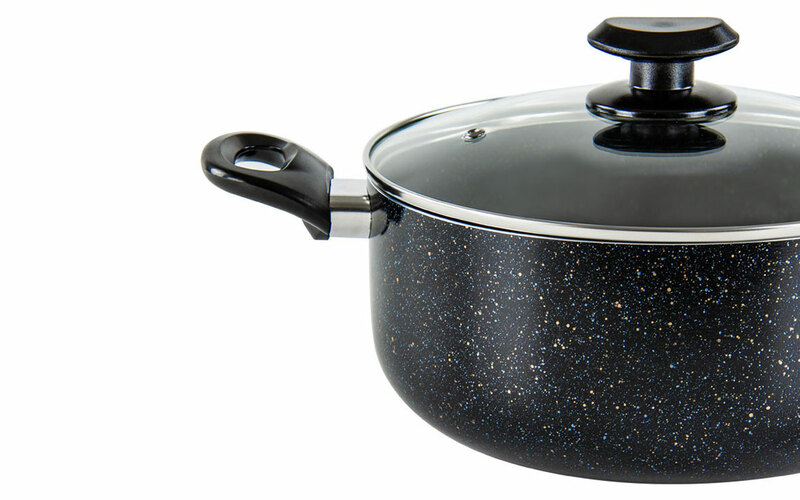 The ergonomic design of the sturdy wide handles means that these pans are incredibly easy to move around the kitchen, even full of food. 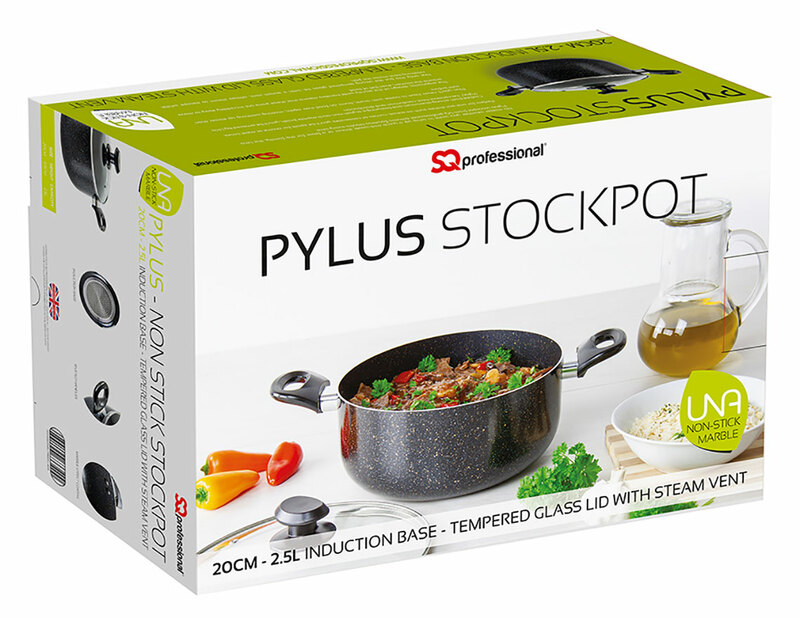 Not only this but the strong tempered glass lid, with a steam vent, allows steam to escape whilst retaining heat inside the pan. 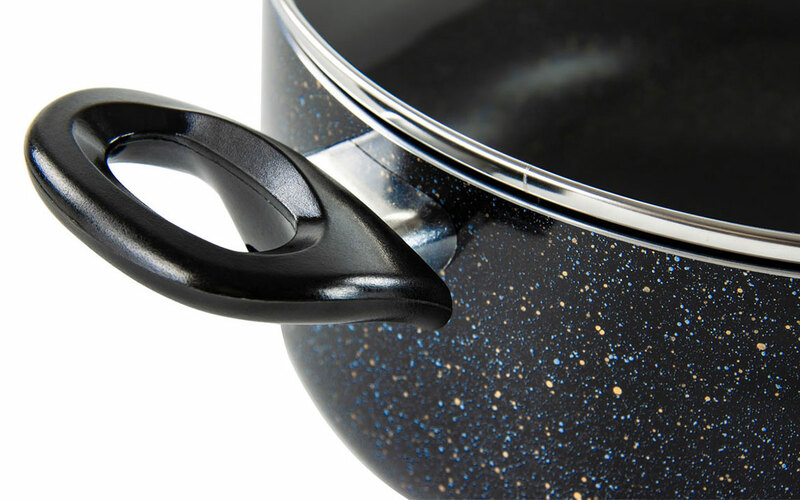 Plus you’ll never have to battle with stuck, burnt on food ever again, making washing up easier than ever before.